Reels so fast, they simply blur at times! In Light Racers from developer The Games Company you are given all the opportunities in the world to live out all of your greatest Tron fantasies, all the while making a lot of money in the process. This 5x3 slot comes with 50 paylines for you to contend with. We’d recommend you set aside a couple of hours to fully absorb this slot and get a feel for everything it has to offer. 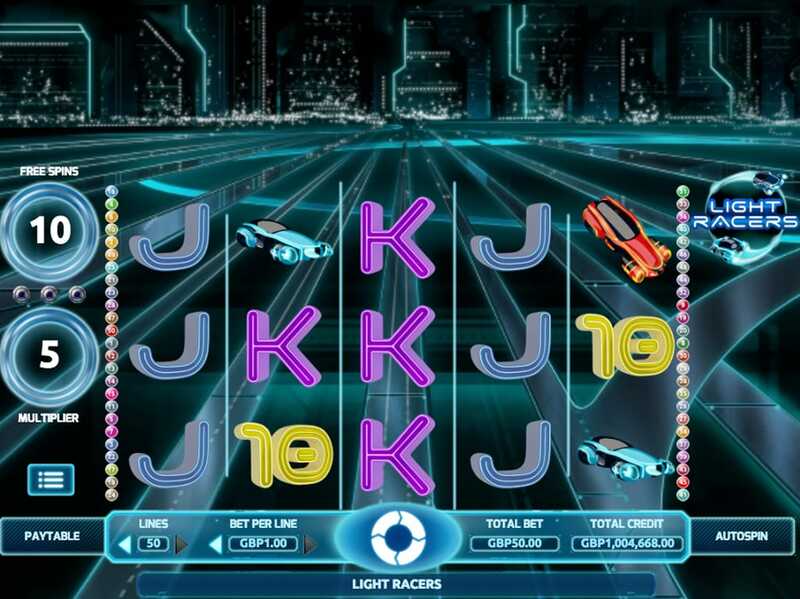 If futurism is something that appeals to you in your new video slots game, then Light Racers will definitely be up your alley. Be sure to check out the rest of our written review in full below for more information on this very fun online slot from The Games Company! If you love bonuses and promotions, then read more here. On visuals alone, this is a very sleek and slick experience that will no doubt attract a lot of players to these neon-infused reels, to begin with! Light Racers has been crafted perfectly as both the visuals and audio design work in perfect harmony, creating a very immersive experience, as a result, one that we can’t seem to put down for some reason! If techno is your jive then you’ll really like this one! Multiplier: Find the right symbols on the board and you’ll see that you earn a multiplier that can give you up to 10x your initial bet! The multiplier is a great way of increasing your scores quite quickly if you can get the max multiplier. Wilds: Wild symbols are the most common of all additional symbols found in Light racers. Wilds will substitute symbols found on the reels for scatters in one go! The more wilds you match the more scatter you’ll add to the board! Enjoying playing online slots, follow this link for more. 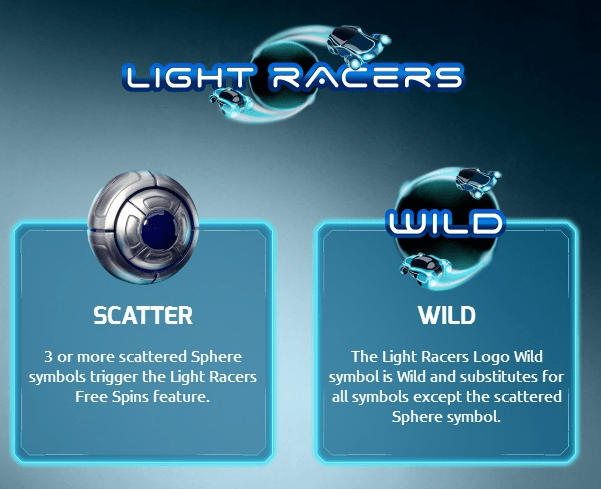 Light Racers is a very fun slot that gives you a chance to be in Tron! Who doesn’t want that? The Games Company are a very talented group who are constantly surprising us with slots such as this one. If you happen to be looking for a game to pick up anywhere and at any time, then you’ll find that this slot has everything you could ever ask for and more! Play now.